Superstar Mahesh Babu's upcoming movie Brahmotsavam audio is scheduled for a launch on 8th April on the eve of Ugadi, while the movie will be released on April 29. The audio launch event will be held in Tirupathi. However, an official confirmation from the makers of Brahmotsavam on audio launch event is awaited. Srikanth Addala directed Brahmotsavam is a classy family entertainer casting three heroines including Kajal Agarwal, Samantha and Praneetha. 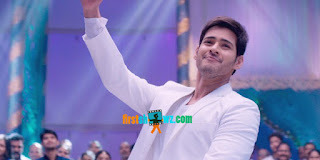 Brahmotsavam current schedule shoot is taking place in Hyderabad, and major portions have already been completed. PVP Prasad is producing the flick under PVP Cinemas. Music is by Mickey J Meyer and cinematography is by Ratnavelu.